The opening ceremony of the International Partner’s Conference was everything it promised to be and many more. It was many more in that Pastor Chris took time to teach the congregation on the need to be part of the decision making processes in their respective countries. It was many more as he admonished Christians to stop being lukewarm to politics and get fully engaged as that is the only way the interest of the church which is “our agenda” can be adequately projected and protected. ‘ Gone Are the days when Christians focus only on making heaven while leaving non Christians to shape the world they live in, he warned. Time has come for every Christian to get involved, get organized, and be agents of change in their world. In his message on the maturity of the Christian and the church, Pastor Chris warned delegates not to be quiet about politics as the impacts of political agenda have far-reaching implication for the church and the spreading of the glorious gospel of Jesus Christ. “Look at those that are giving for political agenda. We also have political agenda least our efforts be nullify by their actions. No, these last days, things are going to change. We didn’t come this far to be quiet. It’s now too late to cage us. We’ve escaped. There are two institutions that virtually run our countries. They are the public service and the schools, he said. “Some politicians are even not aware. Some fellow somewhere writes these things, influenced by evil forces and cause problems for the church. They themselves may be surprised at the outcome of their actions”. Jesus says that we should watch and pray for the purpose of the gospel, he added. “I’m alert because of the gospel. There are steps we can take. We pray and act. Visionary Christians should not run away from public service. Don’t run away, be engaged, be part of it, participate in it, and help guide the agenda setting mission, he said. The schools are where the leaders of the future are being trained. They are teaching the young people all the wrong stuff and we’re just standing idly by. The Christians hardly have agenda. Have many of you have watched the Pilgrim’s progress? There is so much to learn from such movie, he said. Speaking on how public servants test the waters before they make earth shattering changes, Pastor Chris highlighted that they first “leak it out, deny or execute it”. That’s their strategy when they want to test the popularity of their policies. Suddenly, it becomes a law. Just a few people run nations. Holding everyone hostage. “These gangs run various countries. Even presidents serve their purpose without knowing so. That is why Christians should be actively involved in every aspect of governance in their countries”. Continuing, Pastor noted that “I’m an agent of change, not a complainer. Jeremiah was just complaining until they carried him along. I refuse to be a victim. Start from where you are. Never take the position of a weakling. I’m a player. I’m involved”. 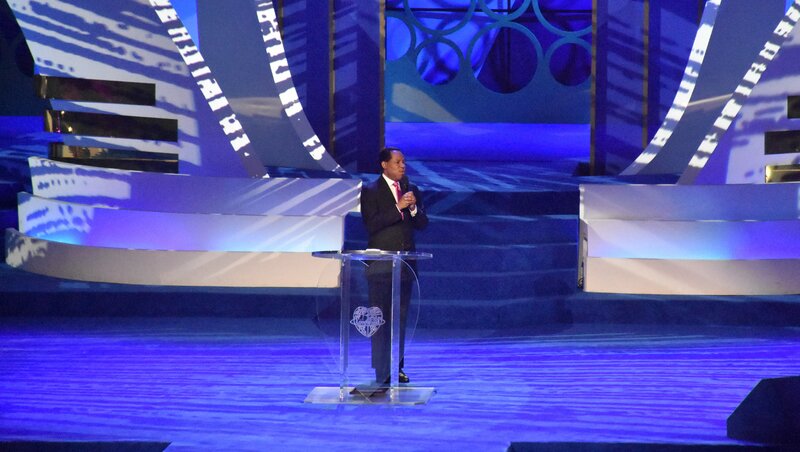 Pastor Chris concluded by saying that Christians have kept quiet for too long, and now is the time to rise to their place and insist the right things are done. “We have a political agenda to pursue, promote, and protect” he warned.